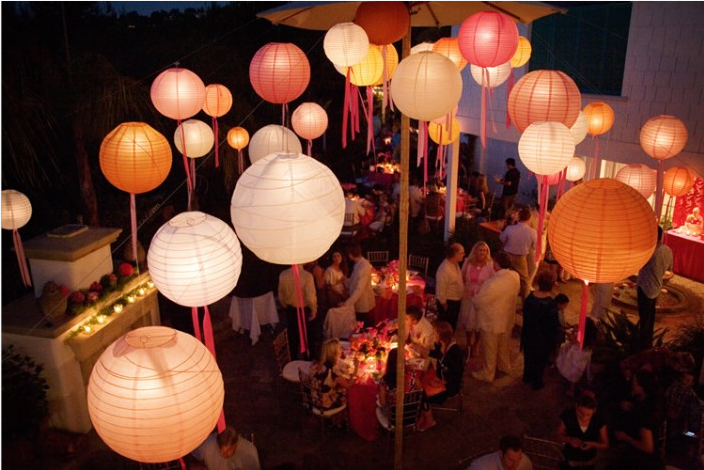 Lanterns bring romance to an area and will easily transform your space into something truly special. 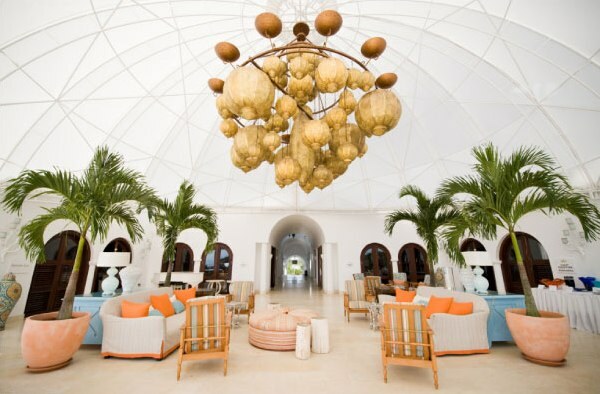 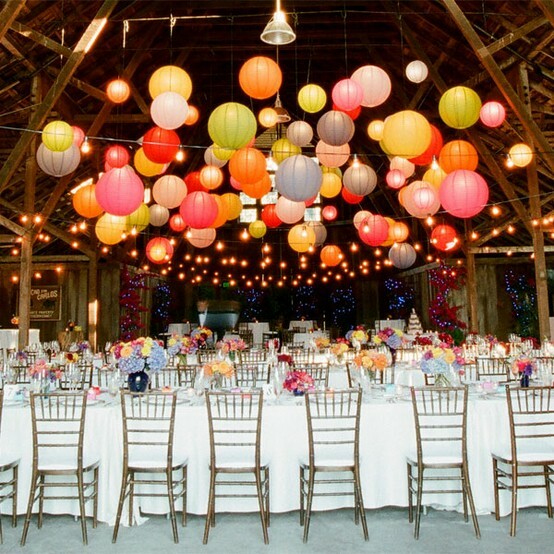 They can make a reception tent, barn or any ceiling instantly eye-catching and more awe-inspiring, especially when hung in clusters in a mix of different sizes, shapes, and colors. 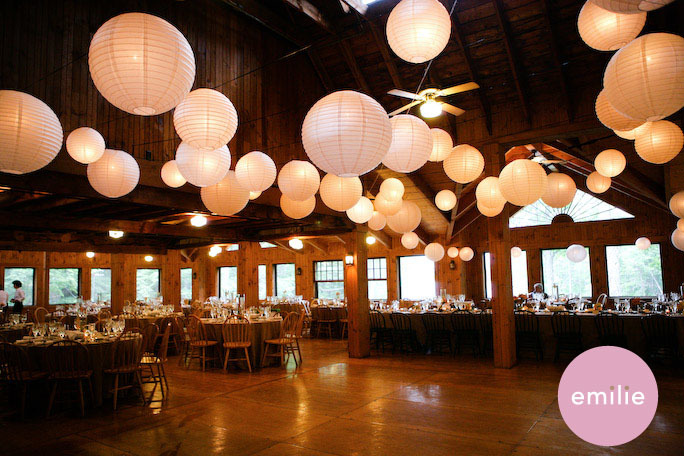 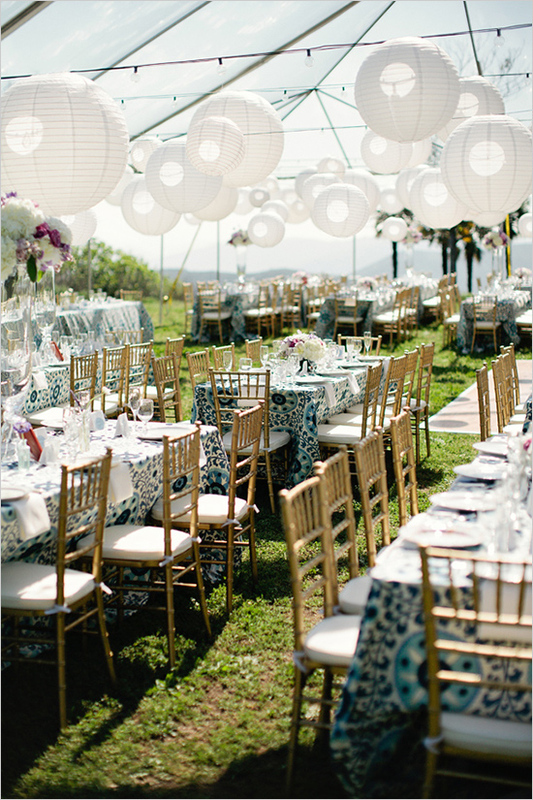 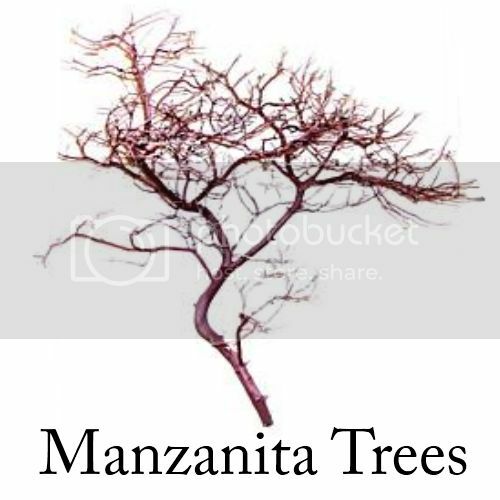 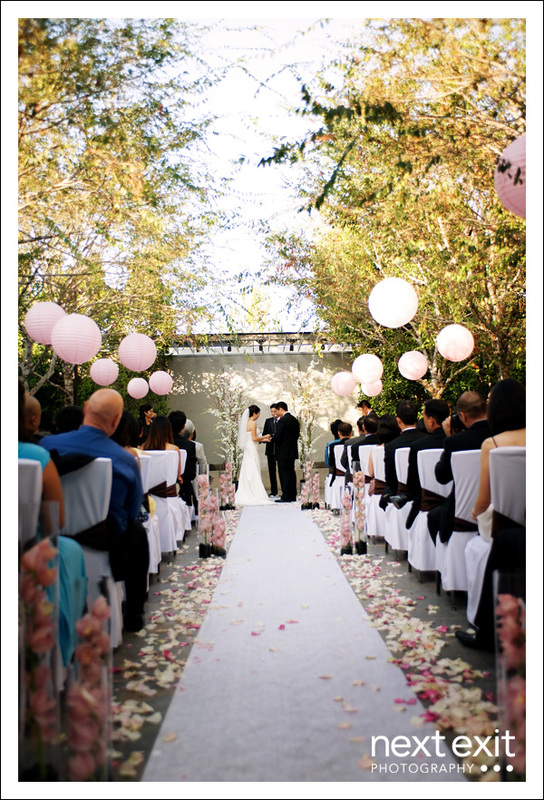 Hang and scatter paper lanterns above the wedding reception or ceremony area. 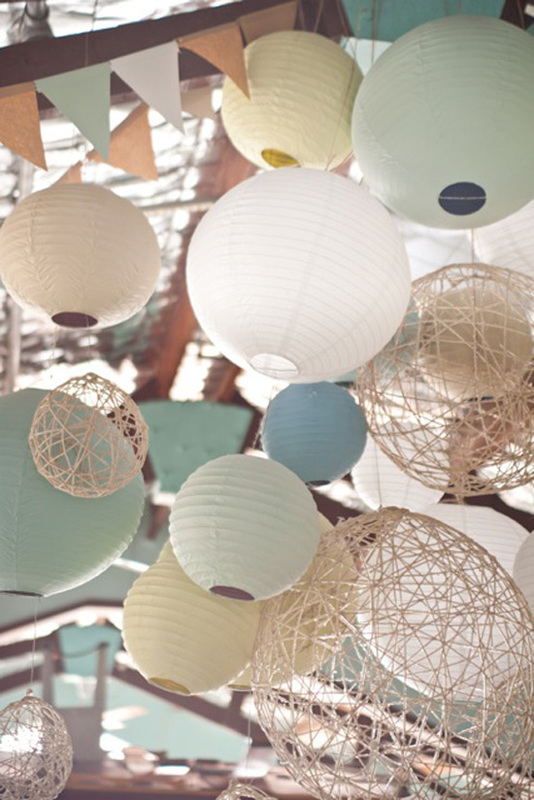 You can even cluster the lanterns with yarn balls, hanging paper flowers or pom poms. 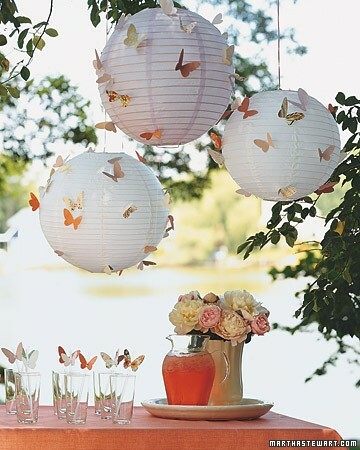 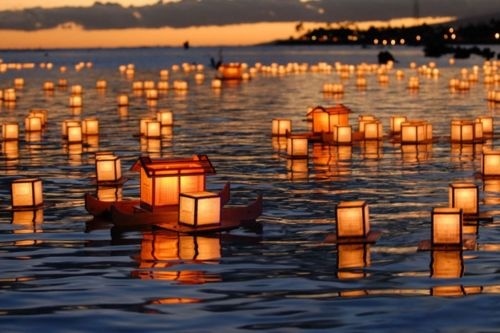 If your venue is near a poolside or lake, place floating lanterns. 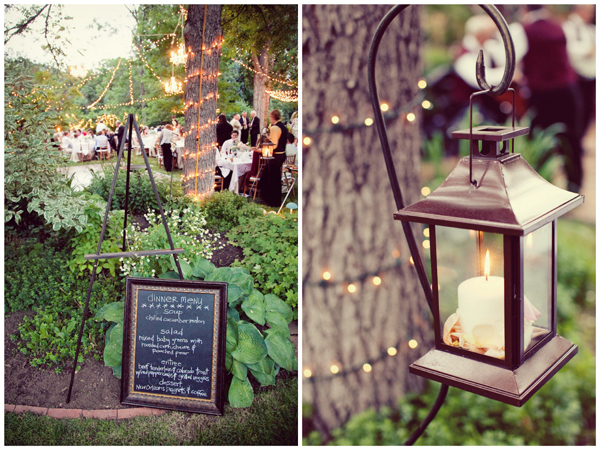 Line your aisle with lanterns hung on shepherd hooks. 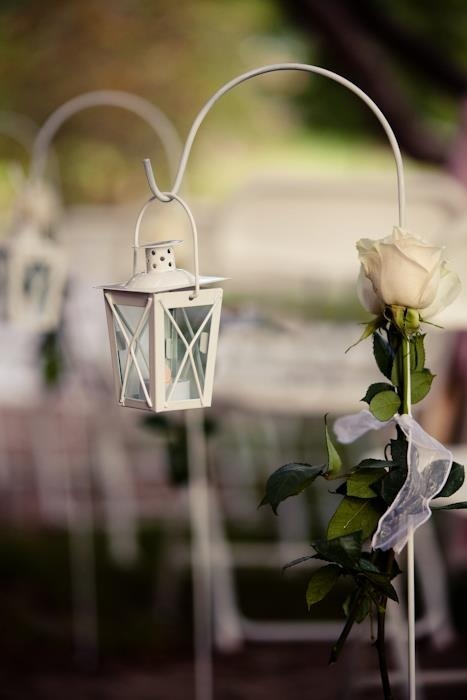 Hang ornate ribbons or plastic crystals of different lengths from the lower metal ring. 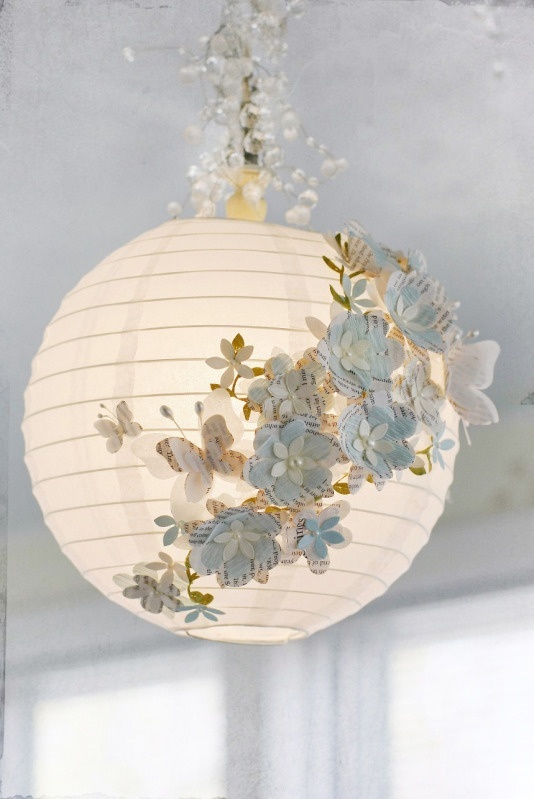 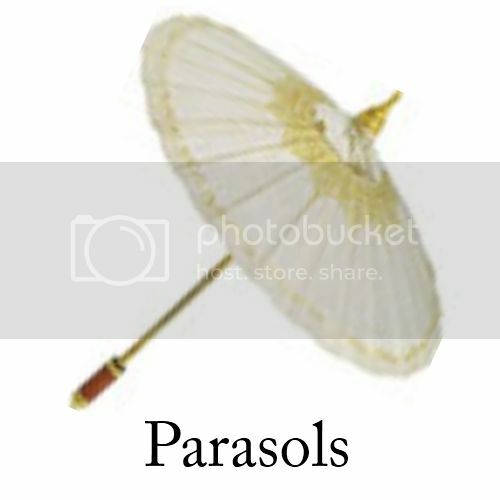 Glue on the lanterns artificial flowers or paper butterflies or embellish them with pearl or jewels beads. Lanterns don’t necessarily have to be hanged. 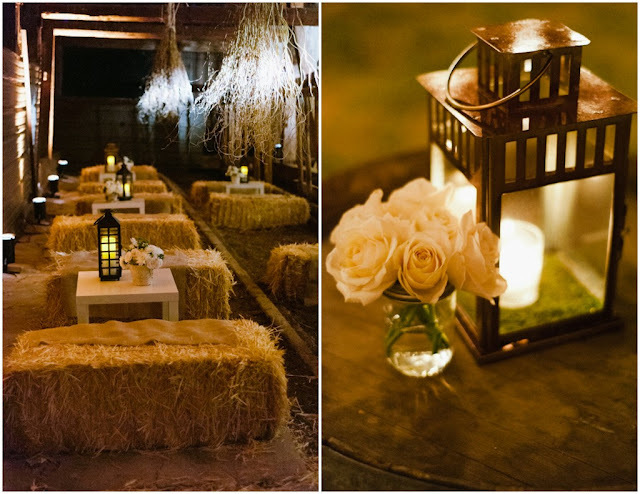 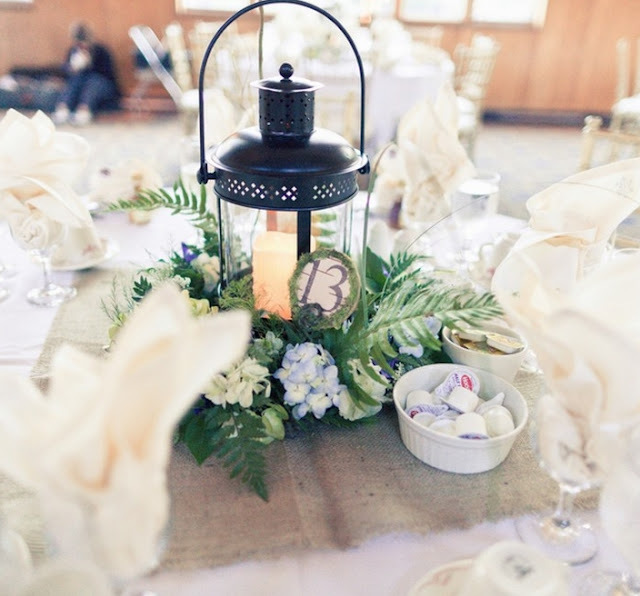 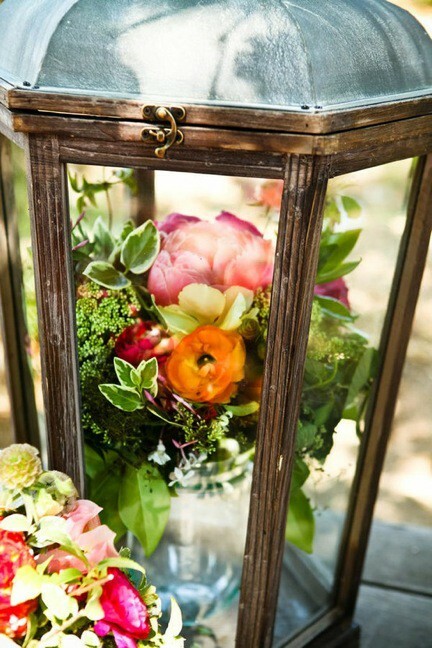 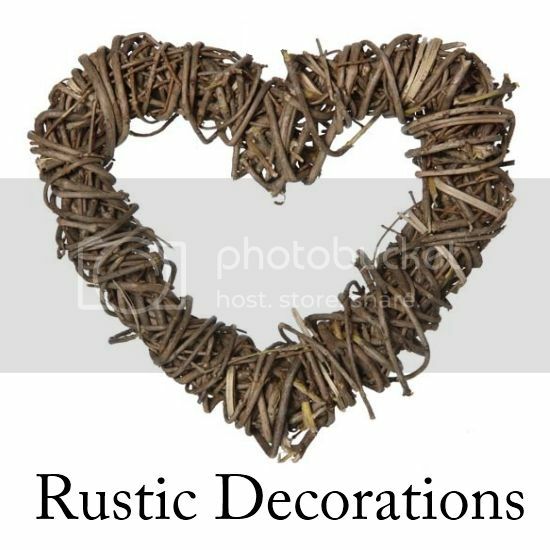 Fill lanterns up with flowers or candles and they can make for gorgeously elegant and rustic centerpieces. 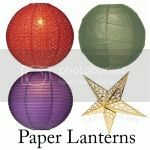 Luna Bazaar offers a wide variety of lanterns in different lantern shapes, colors and patterns that can be used for any of your wedding events – from the bridal shower to rehearsal dinner and wedding! 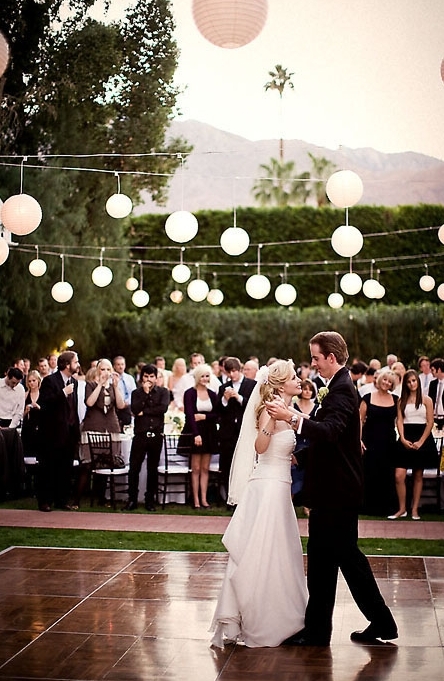 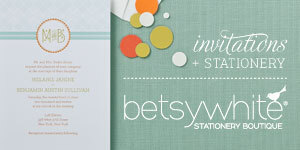 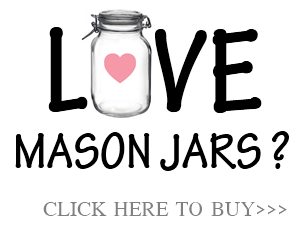 They can be used for casual backyard or outdoor weddings and formal affairs as well. 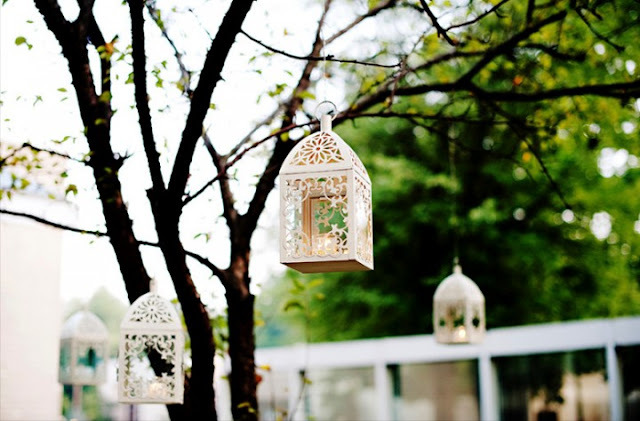 Depending on the color , setting and related decor items, lanterns can help to create a completely unique look for the wedding of your dreams!